Mobile Mechanical Repair business is among the businesses whereby a company offering a service tends to move around giving its services in person. Most people make it quite difficult for clients to access the perfect service provider within the market place directly. In connection to this, most of the client in one way or another complaint concerning poor service which service providers deliver. According to clients, it is now difficult to find great companies due to an additional service fee. This additional fee has affected most of the clients when it comes to the provision of best services from these companies. This thereby has made it difficult for clients to decide which among the companies is the best in the provision of these services. However, sometime it might be difficult for you to get the best service due to lack of knowledge and more so, not knowing the companies out there which offers the best service and their location. In Browns plain, any issues dealing with mobile mechanical repair is available at Dr. Roadworthy. The company has mobile mechanic experts who will fix any problem pertaining mechanical parts of your automobile. In other words, most clients view our company as the best service provider regarding rectifying any problem with their vehicles. In Logan, this is the only company with a mobile mechanic repair team. If you are miles away from the premises and you need to get your automobile fixed, then you need to call them, and they will be there in no time. 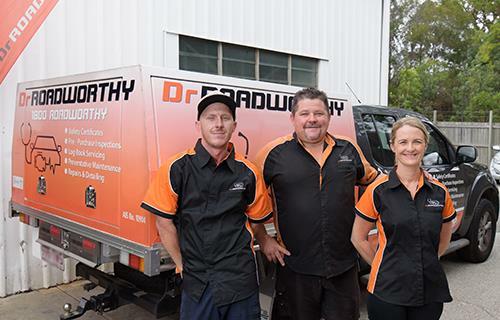 Dr. Roadworthy provides high quality mobile mechanical repair and at all time, the company thinks of you. There are 0 comment. on "BEST MOBILE MECHANICAL REPAIR MECHANICS IN LOGAN AT YOUR SERVICE"